...and being able to make a career of it! 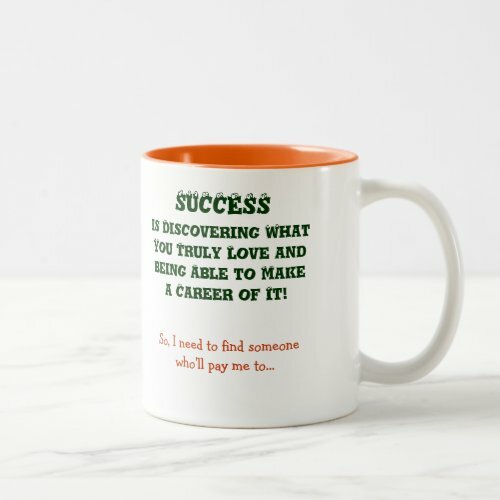 A funny coffee mug for the go getter, one who has the courage to think out of the box, for the one who believes in treading his/her own path, for the one who has the self belief to create his/her own destiny! 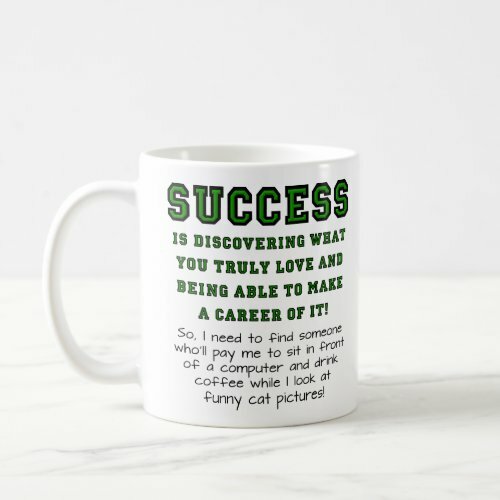 Go ahead, create your own funny coffee mug about it! 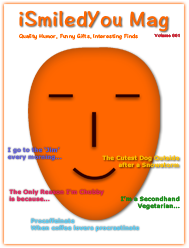 Add your own version after the line "So, I need to find someone who'll pay me to". Its that easy!